Tile floors can get pretty dirty. Between the dirt and grime that can work their way into the grooves and divots of tiles and the mold and mildew that can get into your tile's grout, it can be hard to keep your tile floors clean. 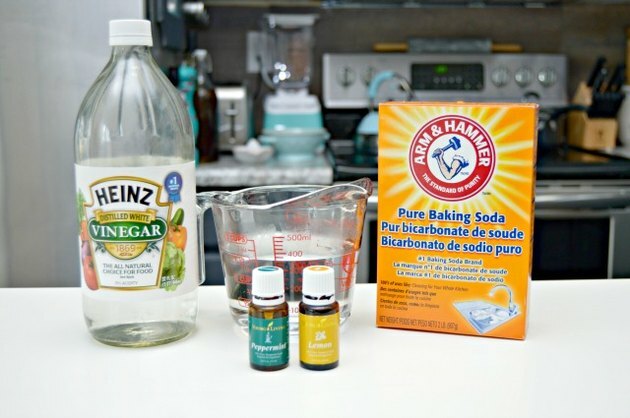 Here is an easy tutorial showing how to clean tile floors with baking soda and vinegar. 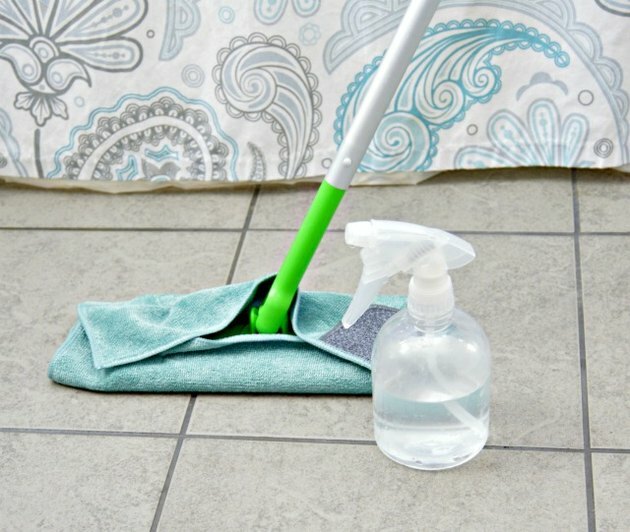 This magic duo helps get all of the dirt and grime out, leaving your tile floors fresh and clean. 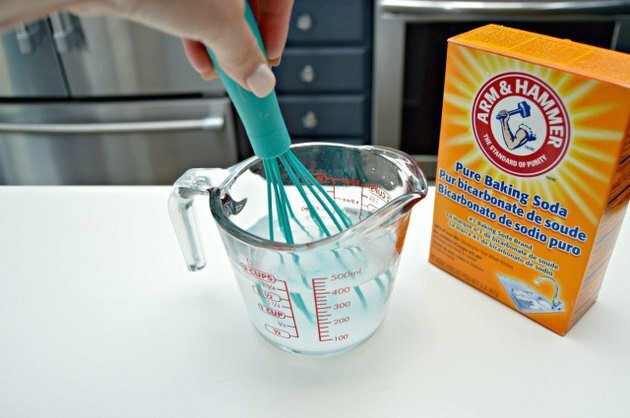 Add 1 tablespoon of baking soda to 1 1/2 cups of warm water and stir well. 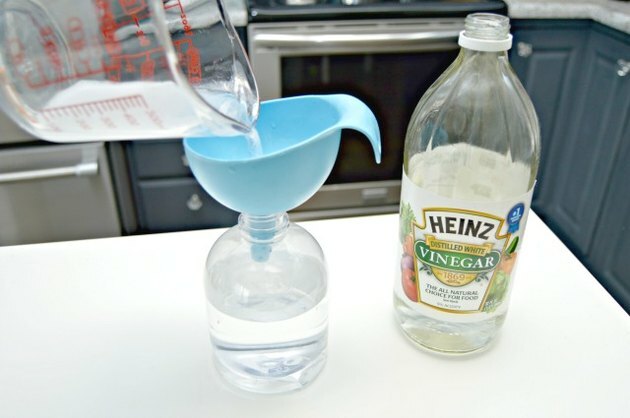 Slowly add 1/4 cup of vinegar to the water and baking soda mixture. Let bubbling die down, then add essential oils if you like. The essential oils help clean a little more and also add a nice scent to the cleaner. Add the mixture to the spray bottle and shake well before each use. 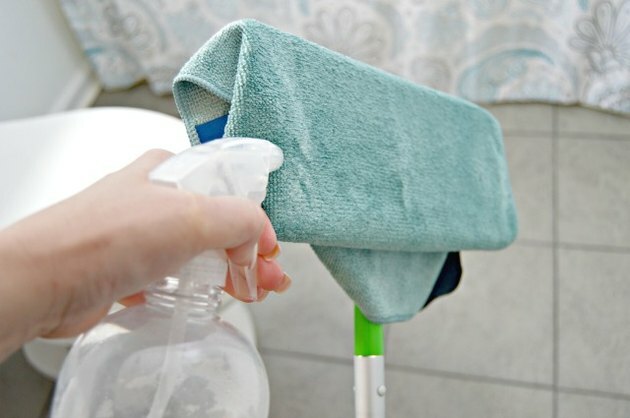 Use an old dusting mop for cleaning your floors. 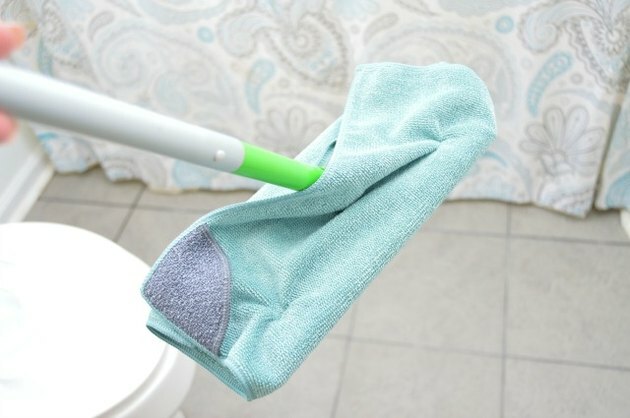 Simply add your microfiber cloth to the dusting mop my wrapping the microfiber cloth around the bottom and poking the cloth into the slots that are provided at the top. Liberally spray the solution directly onto the microfiber and clean your floors. Mop your floor as usual, moving in a back-and-forth motion. No rinsing necessary.